PM544BUILD | HPM. 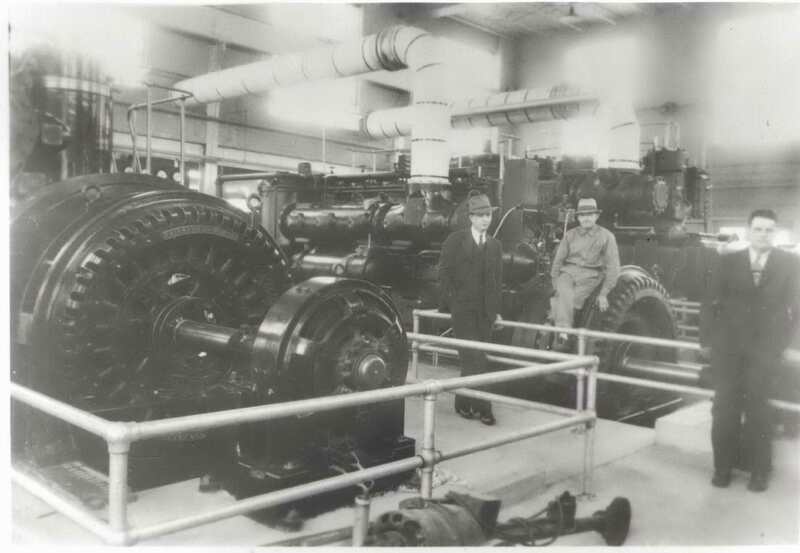 Early days in the Power Plant featuring the Fairbanks-Morse engines. This year marks the 75th Anniversary of the Goodland Municipal Power Plant. Those 75 years of generation are quite a milestone for our community and for the professionals that have kept it in working order. The story of Goodland power production is particularly interesting given our reliance on electricity. Electric Power isn’t necessarily in our thoughts daily, but everything we do these days has an electric price tag attached. The story of Goodland power begins in 1906 when electricity was first delivered to the homes and businesses in Goodland. Power was supplied by a private contractor, the Goodland Light and Power Company, until the City took over production of electricity for the community in the 1930s. Progress in Goodland demanded a more robust system and in 1937 construction began on an improved power plant designed to accommodate future capacity demands. Generation began in July 1938 with two engines with a combined capacity of 1200 horsepower. To meet the ever increasing demands for electrical energy, succeeding City administrators expanded the plant and added efficiency measures. PM327MISC | HPM. 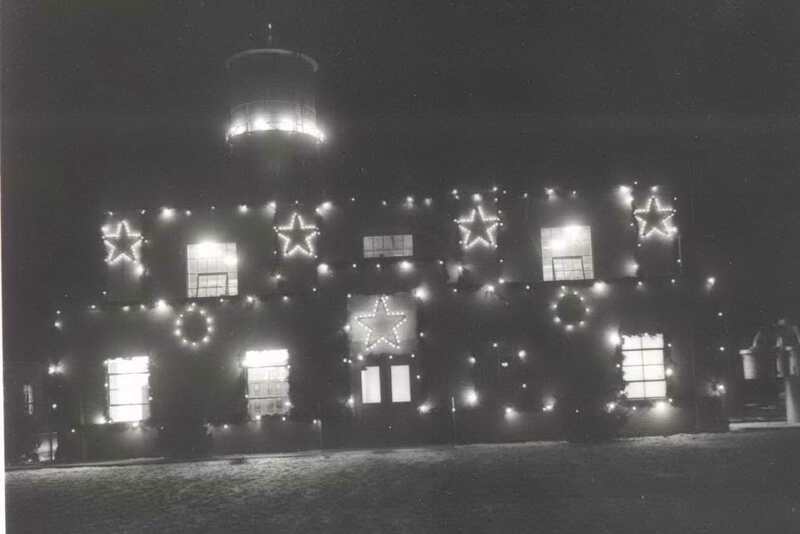 The Power Plant was festively decorated with lights during the Christmas Season. From its modest beginnings the plant has expanded to a total of 27,525 horsepower; it is the largest municipally operated generating plant west of Russell and is one of the few remaining City operated electric systems in Northwest Kansas. The City of Goodland is hosting a celebration to mark the 75th Anniversary on Sunday, September 23, from 1:00 PM to 4:00 PM. Take a tour, enjoy complimentary refreshments and meet the professionals that keep the lights on!